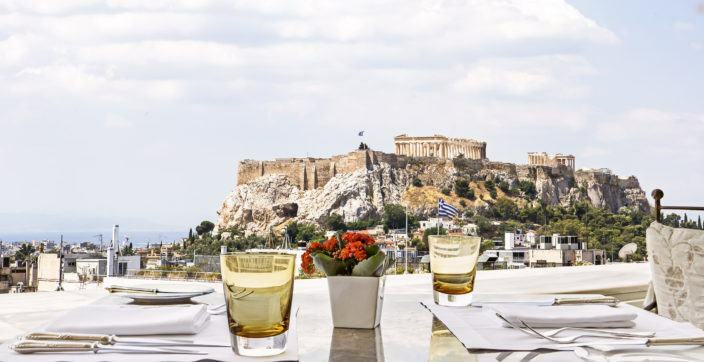 The distinguished Greek artist Lisa Pentheroudaki held an exclusive exhibition at the Penthouse Suite of King George, a Luxury Collection Hotel, Athens on Monday, May 14th 2018. 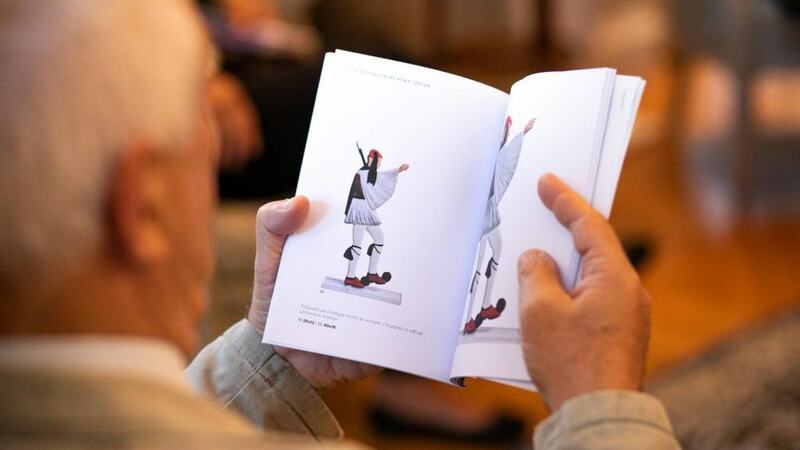 Renowned Athenians and local influencers were gathered to embrace her unique artistic approach towards the prestigious Greek symbol; the Evzones. 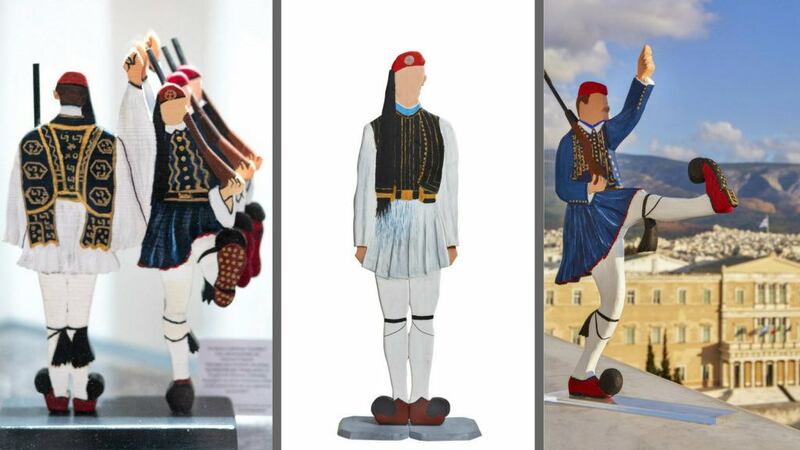 The Evzones used to be soldiers during the Greek Revolution in 1821, wearing “fustanella” kilts and clogs called “tsarouchia”. 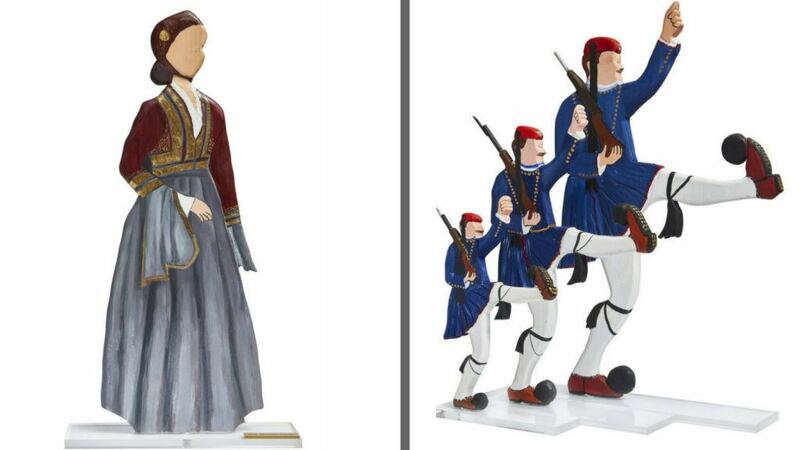 Nowadays, they remain as a symbol of patriotism and true Greek spirit. They have become a significant part of our tradition that refuses to cease existing. Today, they are members of the presidential guard in Athens, Greece, a ceremonial unit that guards the Tomb of the Unknown Soldier. For some time now, the artist Lisa Pentheroudaki has been absorbed by this captivating subject, by bringing to her wooden constructions and paintings the familiar naïveté and “innocent touch” of her personal aesthetic and her own genuine emotions. This exhibition approaches our history and national memory, by altering something painful into amusing; looking somehow like a fairytale, but also as a kind of consolation, offering visitors a chance to be children again, lost in the charm of this unique display. Wooden sculptures and beautiful paintings were just some of the exhibits that caught the guests’ undivided attention. It is worth mentioning, that the exhibits could be purchased instantly, which proved to be a great advantage for the enthralled attendees. Lisa Pentheroudaki’s vision, with its true dramatic substance, is fulfilled in the space where this unique exhibition-installation unfolds, on both an aesthetic and ideological level. 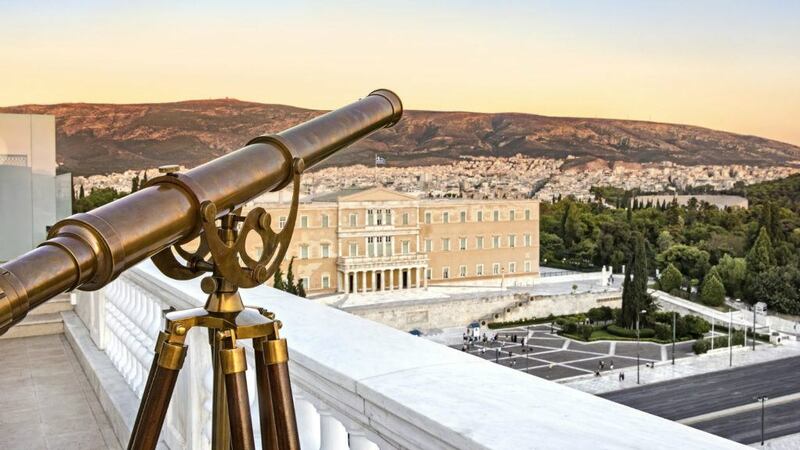 The exhibition comes to life in a space next to the Parliament, which is guarded day and night by these very Evzones—and across from the holy rock of the Acropolis, with all of its historical and emotional connotations.